An inkjet all in one device that's easy to use and gives good result is a requirements for most students and homes, and Canon Pixma MG3500 scores well here. With a print resolution of 4800 x 1200 dpi and a similar scanning resolution, Canon Pixma MG3500 does well in terms of quality of printouts and scan results. It also comes with auto duplexing, making the student books and reports projects a breeze to print. The print speed are 9.9 ppm for black and 5 .7 ppm for colour printouts. The duplex printing takes most time at 2.2 ppm. This is an extremely compact unit when closed, it nearly doubles in size once it is opened for use. While the Canon Pixma MG3500 ink cartridges give low printing costs, they can be reduced further with the use of compatible cartridges. The lack of proper display means all handing has to be done from the printer driver and computer directly. The range of its capabilities is long. 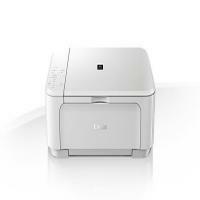 It can directly print from a smartphone and WiFi, has a photo print resolution, supports automatic duplexing. The twin cartridge design also increase the ease of use for the Canon Pixma MG3500 ink cartridges. Single feeder tray which takes both normal and image paper. Canon Pixma MG3500 is a very good option for those looking at an entry level all in one device. Not only does it do its print and scan well, it also has a lot of functions which will help make the end user's life easy. For the cost it comes at, it is a really good and value for money option. What to do if your Canon Pixma MG3500 printer is not ejecting ink correctly? Check if the FINE Canon Pixma ink cartridges did not run out of ink, if that is the issue, it is highly recommended to replace them with a new one. Step1: Check if the FINE cartridges are installed properly If your canon pixma cartridges are not installed securely, it may be possible that ink is not ejected correctly. Step 2: If you find that the print heads get clogged and affecting the print quality Print the Nozzle Check Pattern to find whether the ink ejects properly from the print head nozzles. Clogged printheads result in quality problems like printing becomes faint or colours are incorrect. Q. Why is a small strip of tape pasted on the Canon Pixma MG3500 ink cartridges I purchased? Does that go into the printer at the time of installation as well? A. No, the protective tape has to be removed before installing the ink cartridges. It is provided to block the nozzle, which prevents ink from leaking out at the time of shipping and until the time you store them. Remove them only just before you install new ones, otherwise, you won’t be able to print. Q. Why does the empty cartridge’ message come up even after changing ink cartridges freshly? Does it indicate that the cartridge has a problem? A. No, It usually happens because the printer remembers the information stored in the last session or when the printer identifies the fact that the ink cartridge is not genuine. You don’t have to worry as there’s no problem with your printer or cartridge. You need to bypass this stage in order to print normally. To do that the next time your printer flashes a low ink warning, press and HOLD the STOP/ RESET button on the printer for five seconds and then release it. This will get the printer to print normally even though incorrect ink levels message may be displayed. Q. I can see some stickers on the Canon Pixma MG3500 ink cartridges I bought. Can you please let me know whether I should keep them on or remove them before installation? A. Please let them remain on the ink cartridges as they are pasted there to prevent ink from drying out. Q. How do I know when exactly I need to replace ink cartridges? I am using compatible Canon Pixma MG3500 ink cartridges. A. If the print starts fading or you notice stripes appearing in bad printing and have been printing for a considerable time, you’d know the ink cartridges need to be replaced. Q. Can someone with limited technical proficiency install Canon Pixma MG3500 ink cartridges himself? A. Yes, easily. The configuration process for these ink cartridges is quite simple and quick so anyone can install it. Q. What colours does the CL-541 ink cartridge print? Can I expect high-quality photo prints from them? A. A Canon CL-541 print cartridge is equipped to print cyan, magenta, and yellow. CL-541 is known to print vivid, clear and sharply defined colors on paper, which customers admire the quality greatly. Q. Is it necessary for wireless devices to be far away from other such devices to get unhampered Wi-Fi access? I changed the place of my computer and Canon Pixma MG3500 printer recently and started noticing connectivity issues... I thought of confirming before changing the setting all over again. A. Yes, if there are devices in the vicinity that run on the same frequency bandwidth as the wireless station, there will be interference. If you did not face connectivity problems earlier, it’s advisable to go back to it. Q. Are Canon Pixma MG3500 ink cartridges like PG540 CL-541 printer ink cartridge available in high capacity versions? A. Yes, they are. The high capacity versions are designated as PG540 XL and CL-541 XL. Q. How many pages do Canon Pixma MG3500 ink cartridges normally print? A. They are known to print about 180 pages at 5% average coverage. Q. I need to make impressive presentations every other day at work. Can I count on Canon Pixma MG3500 printer for that? And are the ink cartridges for these printers, on the whole, efficient performers? Please help. A. By all means. The Canon Pixma MG3500 printer is renowned for producing finest quality prints. All the ink cartridges of this printer will cater to all your requirements and give excellent results. You can definitely give this printer a serious thought. Q. My Canon Pixma MG3500 printer sometimes stops working in the middle when I print documents with a lot of photographs and graphics. Why does that happen and what should I do the next time the printer stops? A. This can happen when you print a lot of text and illustrations. The computer and the printer need some time to sense the vastness of data to print. It doesn’t indicate any issue with the printer. The next time you come across it, just wait patiently as your printer is also dealing with supplying the large amount of ink to it. Q. How many pages can Canon Pixma MG3500 ink cartridges print? Are their higher version of the same and do they print more? A. They can print up to 180 pages at 5% average coverage. Yes, these ink cartridges also have advanced version that can print up to 600 pages. Q. How can I activate the Wireless LAN? My Canon Pixma MG3500 is not being detected in the Wireless WAN and the Wi-Fi lamp is not on. A. The Wi-Fi lamp should be lit on the front side of the machine, for the latter to be detected and start functioning. For that, first press and hold the Stop button until the Alarm lamp flashes 18 times. Next, you need to press the Colour button. Your Wi-Fi lamp will be lit. Q. I recently switched over to the work from home option. I have a Canon Pixma MG3500 printer. Will it help me perform both- professional and personal work efficiently and will Canon Pixma MG3500 ink cartridges go perfectly with it? A. Yes. Canon Pixma MG3500 ink cartridges are excellent for printing crisp, sharp documents, presentations, children’s projects and more. Q. Can I print on envelopes with the Canon Pixma MG3500 printer in landscape orientation? A. No. The printer is able to print on envelopes only when they are loaded in the portrait position.